Derek Carr: facing Patriots is "not a scary thing"
The Patriots have recovered from a shaky 2-2 start and cruised to a 7-2 record, tied for best in the AFC through 10 weeks. This Sunday, they'll take on the 4-5 Raiders from Mexico City--but their opponent isn's backing down from the challenge. 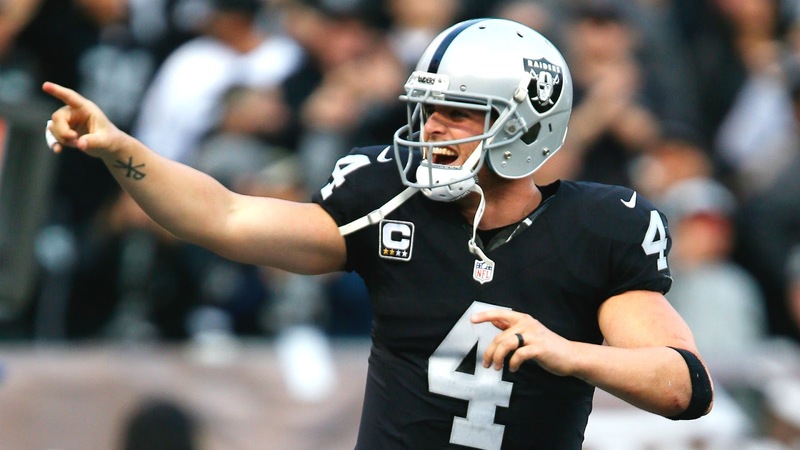 It’s not a scary thing to play them,” Carr said. “They’re the next team on the schedule. Let’s not make it something it’s not, but let’s respect that they’re very smart. They’re very wise in how they game plan things. Every team tries to take things away that you do good and you try to hit them with other things. It works both ways. They’ve given up a lot of yards and things like that so we definitely feel we can go in and attack them on the ground and in the air. If the recent stats are any indication, Cooper might not be the one doing much of the attacking. Aside from his 11-catch, 210-yard explosion against Kansas City in Week 7, the third-year receiver hasn't managed more than 62 yards in a game this year. That's unlikely to change going up against Malcolm Butler and Stephon Gilmore. No matter how the outcome goes, Sunday's game is sure to be one of the season's more interesting matchups. Carr and the Raiders are certainly confident--but they're in for the biggest test of their year.